smoothie – Cooking with Gabi – all about integrating Fruits & Vegetables into your daily diet! Starry, Starry Night…….no it’s Not a Song, it’s a Smoothie! Someone left a bag of star fruit on the kitchen table at work….so during a coffee break, I took two, wondering…what in the world am I going to do with this funny fruit? Out from the fridge came a cucumber, an orange and pineapple. Peeled the cucumber, juiced the orange, chopped the pineapple and into a blender went all three with slices of one star fruit…and voila! 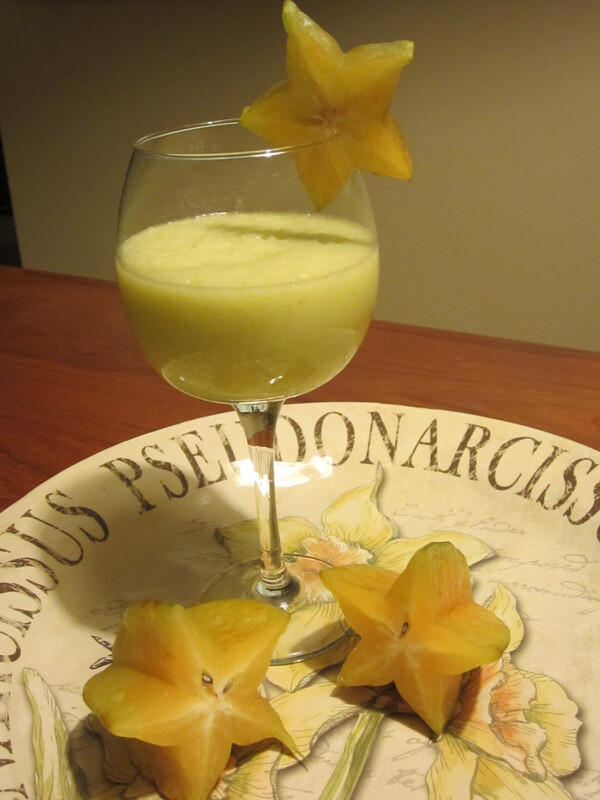 It’s a Star Fruit-Cucumber-Pineapple with Fresh Orange Juice Smoothie!